Pizza lovers know that Pi Day is just another excuse to grab an extra slice pi(zza) and not feel guilty. 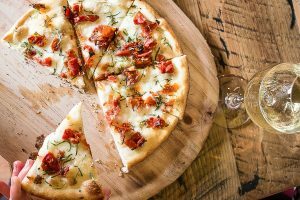 On Thursday, March 14, 2019, hungry diners can celebrate this mouthwatering holiday with flatbreads made by City Winery’s wine lees. Featuring Margherita flatbreads, served with San Marzano tomato sauce and buffalo mozzarella, Wild Mushroom flatbreads, served with goat cheese, béchamel and arugula, and Baked Eggplant flatbreads, served with crushed tomatoes, pecorino and ricotta, guests can sit back, relax, sip, and lose count of the slices eaten. Located at 650 North Avenue NE, Suite #201, Atlanta, GA 30308. For more info, visit www.citywinery.com/atlanta or call 404-946-3791. 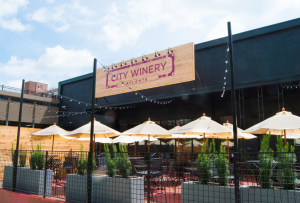 Stay connected on Twitter and Instagram at @citywineryatl and Facebook at www.facebook.com/citywineryatl.